We give every child the encouragement to flourish through developing their hopes and dreams, and the skills and talents they need to become successful human beings. All children are entitled to an education which allows them to achieve their best to become confident individuals living fulfilling lives. Talking to and listening to the child is crucial to understanding how we can best meet their needs. The needs of the child and their family are placed at the centre of all decisions made about the support provided for children with Special Educational Needs and Disabilities. 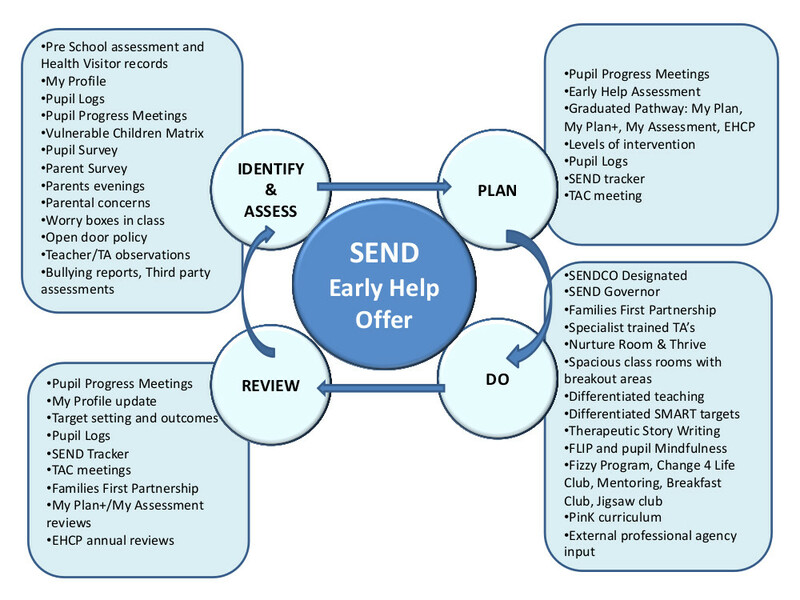 If you have any concerns regarding your child and SEND, please speak to your child’s class teacher in the first instance who will refer you to the SENDCO, as necessary. Gloucestershire children and young people’s website has now gone live. The website provides information and signposting across a range of topics to help young people who might be struggling with their emotions and difficult situations in their life. This useful website has a range of self help strategies and information on how to minimise and prevent self harm.